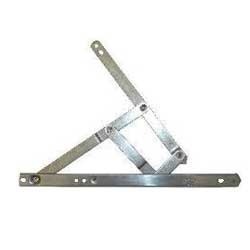 Leading Manufacturer of friction stay from Coimbatore. Universal, stainless steel Friction Stay offer improved security and weathersealing through the use of a reduced friction, nylon end cap. Stays have been designed to offer smooth closure and high performance for window applications of all sizes. Supplied with packers to adjust stack height. Looking for Friction Stay ?